Renovated Victorian family home – beautiful entry hallway with three double bedrooms all with built-in robes and heating. 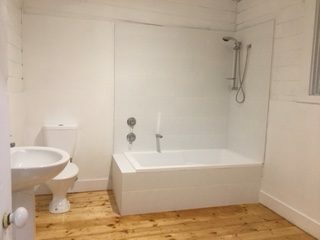 Bathroom has shower over the bath, Laundry with trough. 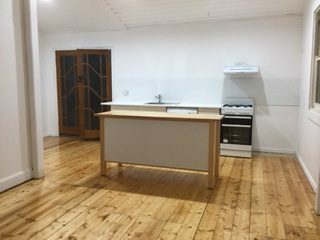 Light filled open plan living and dining through to new kitchen with dishwasher and gas cooking with plenty of bench space. Polished floors, carpet in bedrooms. Right of way at rear to access double carport.